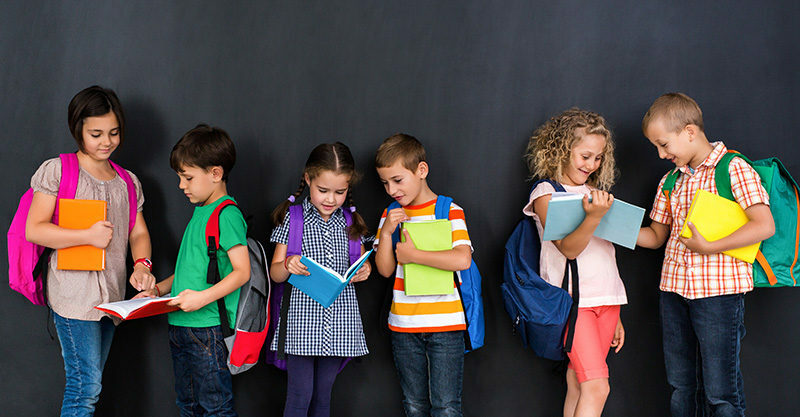 Regardless if it’s the first day of kindergarten or a first, second or third year of school your little ones are heading off to late January, a new school bag is a fantastic way to start the new school year afresh! Children will be able to find their bag easily in the crowd with a gorgeous personalised large backpack from Stuck On You. This roomy backpack not only has your child’s name emblazoned on the front, it’s also super comfy for little shoulders to carry thanks to padded straps. 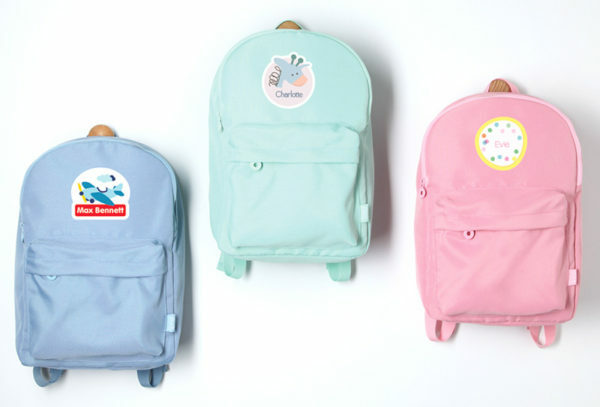 Simply choose your bag colour, name plate design and favourite font and you’re as good as school ready! Priced $59.95, you can order this gem direct from Stuck on You. A good one for kids who got their fill (and more!) 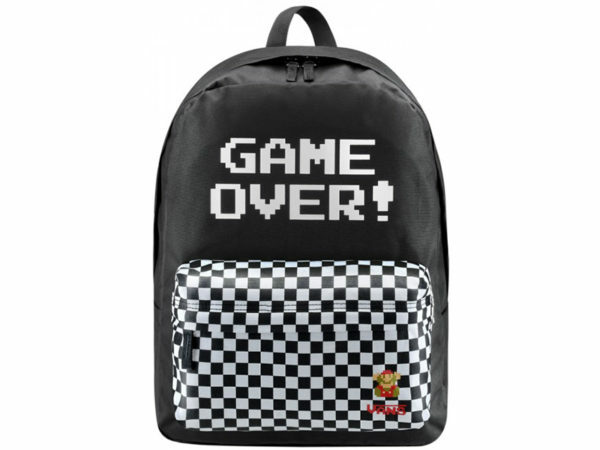 of screen time over the long school holiday days, the Vans Nintendo Game Over Backpack captures all the feels of avid gamers upon the return of school. Available from ASOS, priced $68.50. A brand synonymous with quality, you just know Herschel bags will last the distance. The Kids Heritage Backpack is the ultimate smaller sibling of the classic Herschel Supply bag, perfectly sized for the under six crowd. 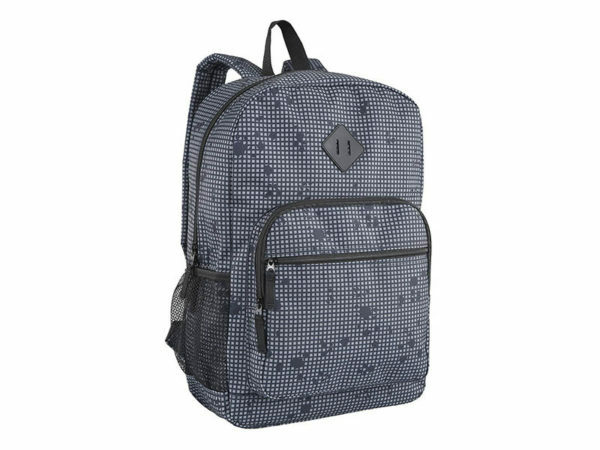 With endless prints to choose from, you can order it directly from Herschel, priced $56.60. Owls, raccoons and deer, oh my! 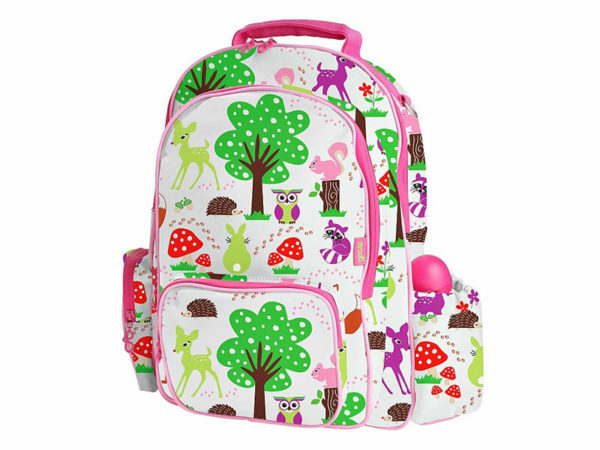 This Gooie Woodland Large Backpack is pure cute of the sweetest variety. 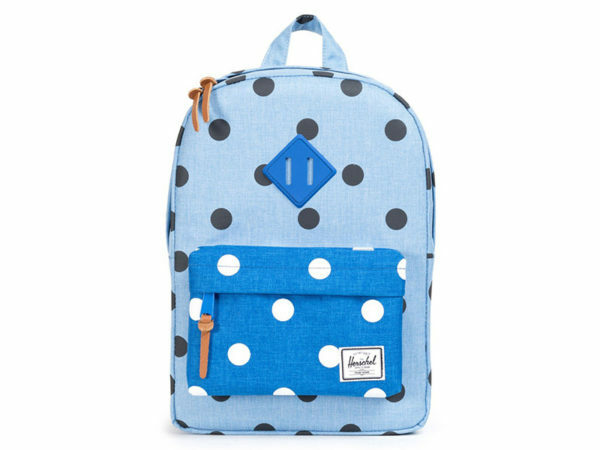 A brightly printed backpack filled with roomy pockets, there’s a spot for everything from drink bottles to library books and toys. Available from Moo Woo, $59.95. A no-fuss, no-frills bag, the Proud Stash Backpack still packs plenty of back to school cool – of the more subtle, simple kind. Strong, spacious and mighty comfortable it’s also available in several solid colours. 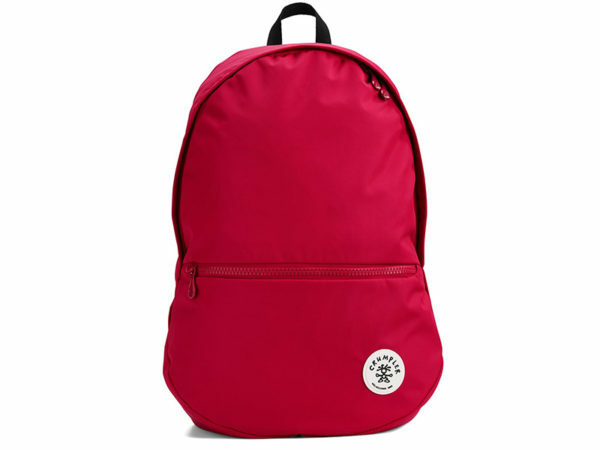 Priced $85, head on over to Crumpler to order. When a satchel becomes a backpack, you know you’re on to something special. 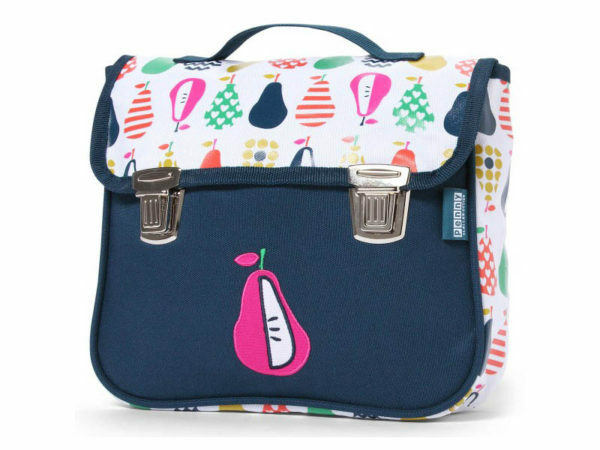 The soft canvas Penny Scallan satchel backpack sports a famous Penny Scallan print, Pear Salad, for lots of fruity school fun! Find it at Lime Tree Kids, priced $49.95. Designed with thoughtful ergonomics in mind, the Harlequin Ergo Tuff-Pack is perfectly contoured to encourage and support correct posture and back support. 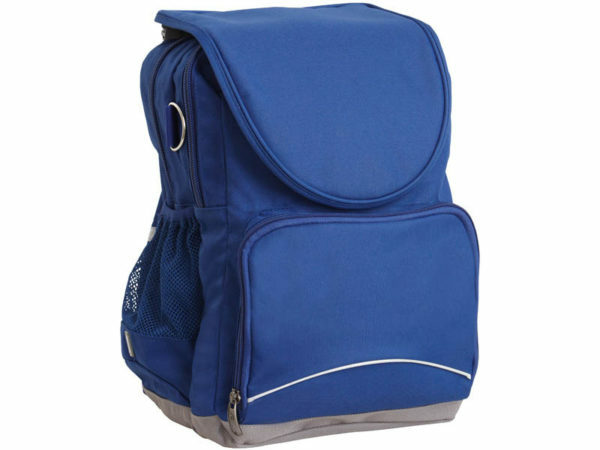 A padded laptop pocket and a soft protective base mean all your child’s items will be safely stowed. Priced $69.95 from Harlequin. 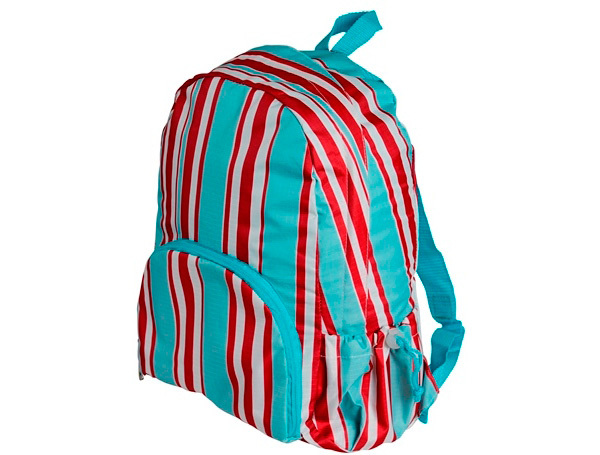 For a backpack that delivers serious bang for your buck, head straight to Kmart. We love the contemporary grid print, the padded shoulders and mesh side pockets, but most of all, we love the budget friendly $9 price tag. Now this is a stroke of genius. A backpack which rolls up into a pouch for easy, compact storage, the Envirotrend PAKItToMe unfolds to reveal a generously sized, waterproof bag. Don’t let its super lightweight frame fool you, kids can tote up to four kilograms of A4 notebooks or even a laptop computer in this backpack. From Haggus and Stookles, priced $24.99.